Squash is one of my favorite fruits. It’s sweet, nutritious, low-calorie, and versatile, and here are 10 recipes that showcase its greatness. Types of squash are often interchangeable, such as the nearly identical yellow squash and zucchini. But your best bet is to keep it seasonal: spaghetti and acorn squash in winter/spring, zucchini in summer, and of course pumpkins and butternut squash in the fall. These ten squash recipes all excel at showcasing the unique properties and flavor notes of each kind of squash. 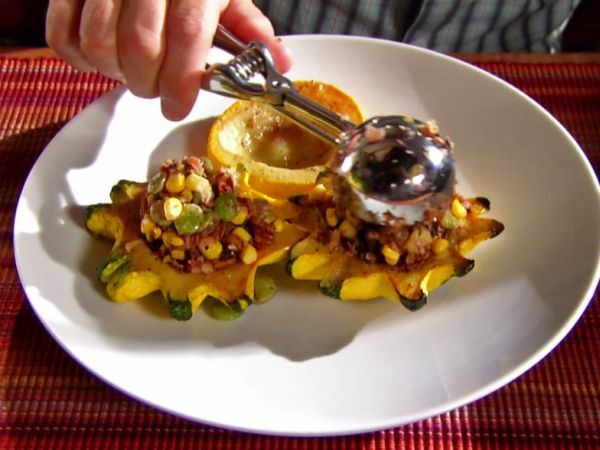 For example, Alton Brown’s stuffed squash makes the most of the natural pattypan shape by scooping out the insides, roasting the squash, and filling it with corn, lima beans, pecans, and fresh thyme. This summer squash is delicious when roasted, and because of its scallop shape, it can be used as a serving dish for other fresh ingredients. It’s no surprise this recipe comes from Alton Brown, who knows the science behind making amazing foods taste even better. 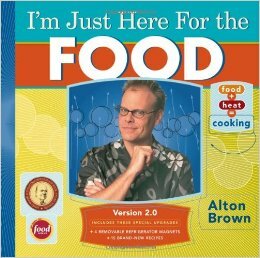 Find more of his creations in cookbook I’m Just Here for the Food, or catch up on cooking your way through Alton’s hit TV show with Good Eats (The Early Years / The Middle Years / The Later Years). 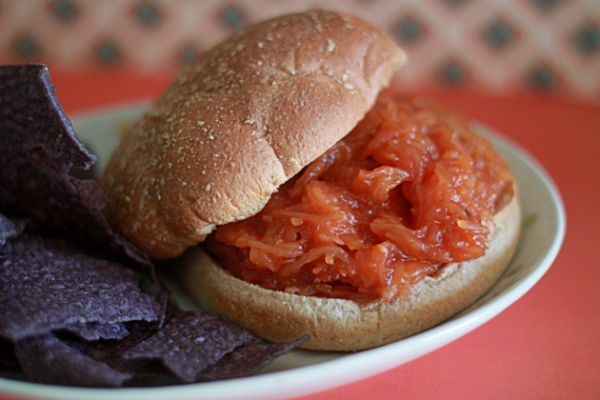 Meatless vegetarian BBQ – yes, it’s possible! If you are having a bunch of people over and need to have a veggie-friendly alternative, this is the perfect dish. And even if you are a carnivore, you’ll love the twist on pulled pork, which replaces the shredded meat with spaghetti squash. 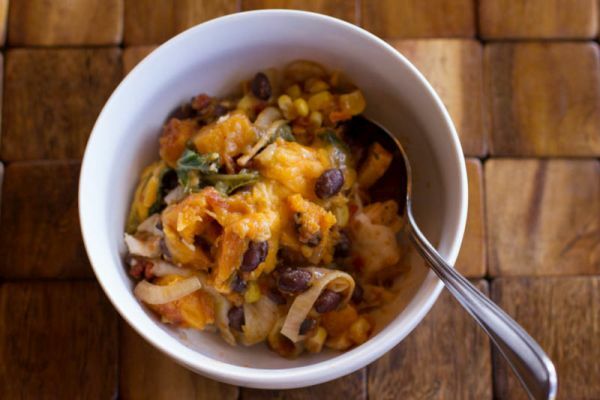 When you think of squash, Mexican cuisine is probably not at the top of the list. But this enchilada casserole will make you rethink everything you know about the flavors of butternut squash. It plays a smooth element against the spicy jalapeno. Plus it integrates black beans, fresh spinach, and chicken breast for lots of protein. This is one well-balanced casserole both in flavor and nutrition! 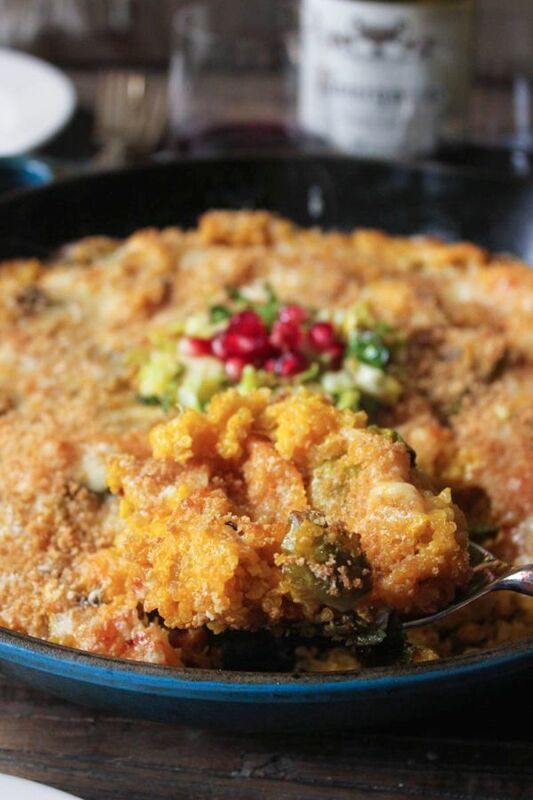 This squash casserole is the furthest thing from the kind with canned soup and blah veggies. Instead it has salty pancetta, roasted Brussels sprouts, creamy Fontina cheese, and a big helping of quinoa for good measure. It’s topped with crispy panko bread crumbs and Parmesan, so there’s something familiar about this casserole. Tip: a garnish of pomegranate seeds will send this dish over the top. 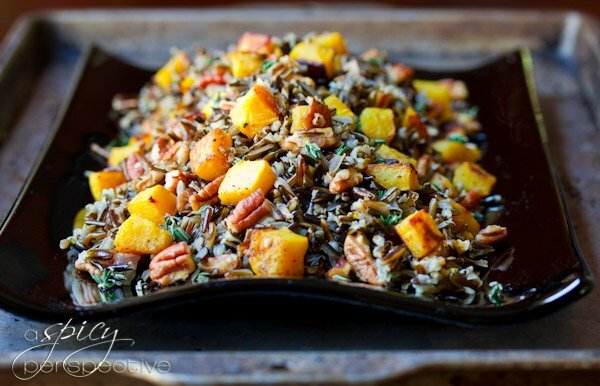 This dish has autumn written all over it – from the bits of pecan and hint of orange zest to the sautéed shallots and roasted squash itself. And it’s also an easy side dish to put together. With rice for starch and acorn squash for veggies, it’s plenty to serve alongside your favorite protein like glazed pork tenderloin or grilled chicken breast. Squash contains a lot of vitamins and is low in fat, but this veggie doesn’t pack a ton of protein. 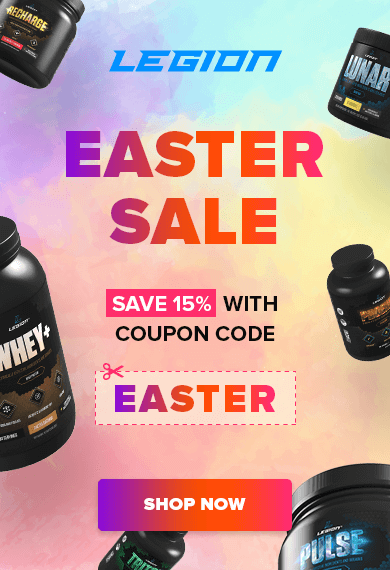 There’s a quick way to fix that: add protein powder to the mix! If you prefer, you can use pumpkin puree in your pancakes instead, but butternut squash lends a lighter, nuttier flavor. 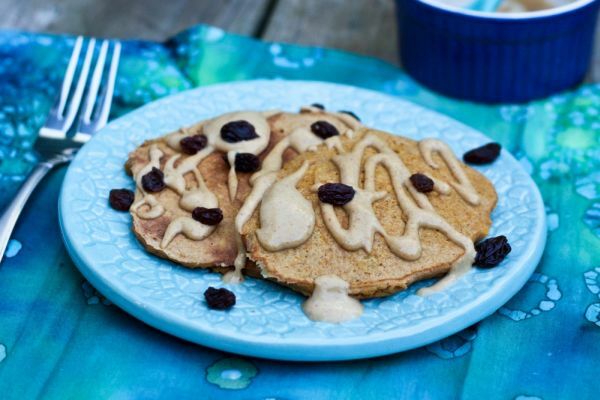 And instead of sugary maple syrup, this recipe includes a light and creamy peanut butter sauce. It’s impossible not to think of fresh baked bread when there’s an abundance of zucchini growing in the garden. 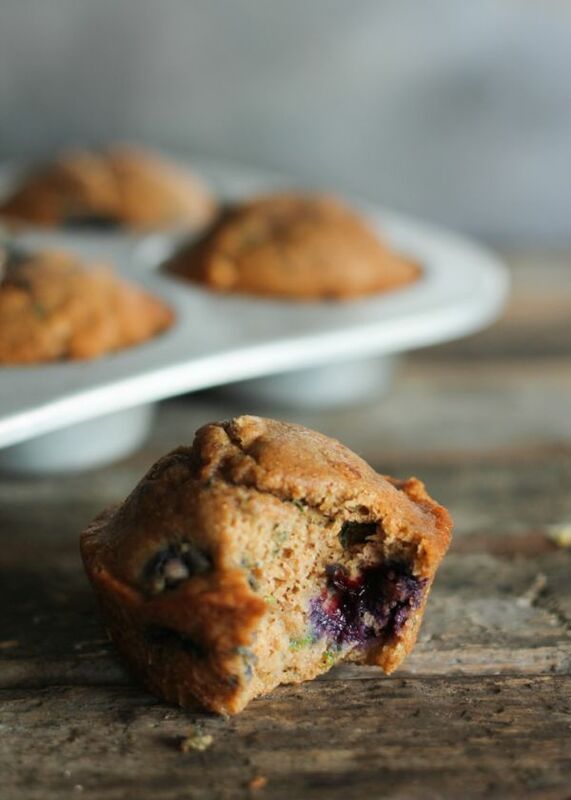 Not only does it make one of the tastiest healthy muffins, but zucchini bread also freezes well if you have extra. This recipe includes blueberries, but you could toss in an equal amount of chopped walnuts or chocolate chips instead. 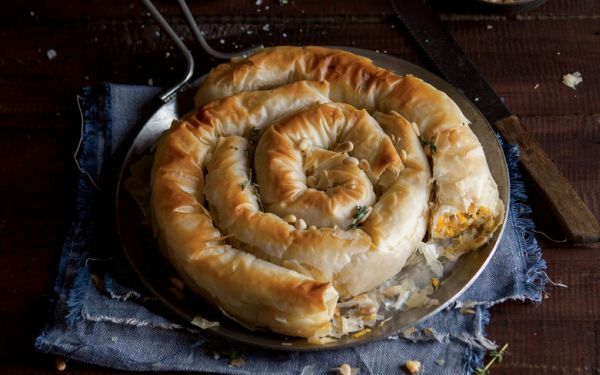 This looks like a complex savory pie to put together, but there’s no reason to stress about the presentation here. With premade phyllo pastry dough, it doesn’t take long to get the hang of rolling the ricotta and squash pie filling into coils. Tuck them into a cake tin, brush with butter, and bake until golden brown. The end result is comfort food at its best, whether eaten alone or as an indulgent appetizer. Who says you can’t have soup in warm weather? 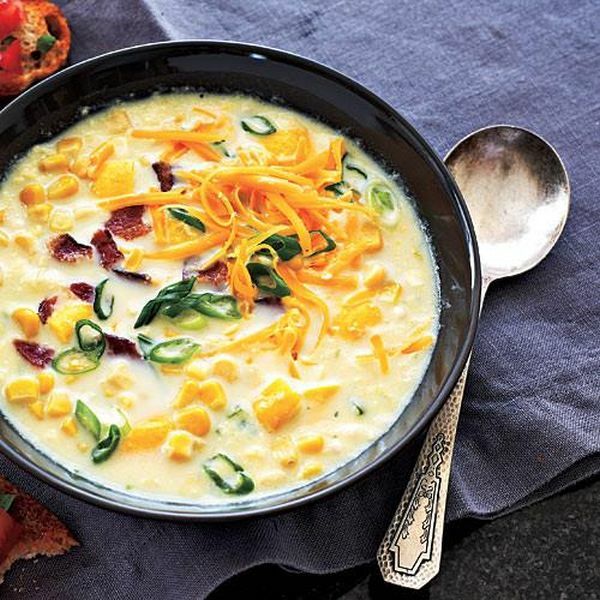 This summer chowder is full of enough fresh produce to be healthy, but it also has smoked bacon and sharp cheddar cheese to keep carnivores at the table happy. The only downside of this chowder is how quickly it disappears – so you may as well make a double batch to ensure there’s leftovers for lunch the next day. 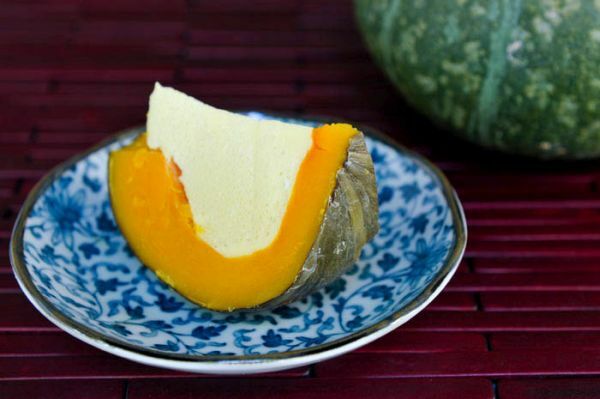 This classic Thai dessert is so good that you won’t believe it’s also so simple. Heat all the ingredients together, pour the custard in the hollowed out Japanese pumpkin, and steam to cook. Only six ingredients are required to make this dish, and aside from the kabocha squash itself, they’re all pantry staples you’ll likely have in your kitchen. Traditionally palm sugar shavings would be used, but it’s ok to use granulated coconut sugar or raw sugar instead. What did you think of these healthy squash recipes? Have anything else to share? Let me know in the comments below!